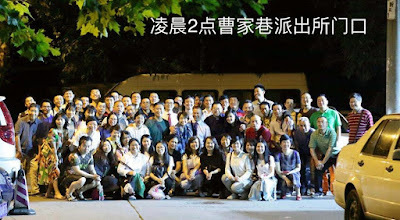 During Monday morning (May 28th), Pastor Wang Yi, Preacher Li Yingqiang and a large group of church members went to the Caojiaxiang Police Station to negotiate about the beating of Song Guangen on the 10th anniversary of the Chengdu earth quake. The police treated the visiting Christians brutally in front of the police station, arresting 12 church members with the charge of “disrupting social orders.” The reporter of China Aid Association called the police station to inquire about the incident, and the police who picked up the phone claimed that they were “processing” the case, refusing to disclose more details. In mid May, the police interrupted the Early Rain Covenant Church’s commemoration of the 10th anniversary of the Chengdu earth quake, slapping a church member called Song Enguang more than thirty times on the face. At 9:15 a.m. on Monday (May 28th), Wang Yi the pastor, Li Yingqiang the preacher, Qin Defu the director, Brother Ding Daoer, Brother Ye Yin, Brother Zhang Qi and Zhou Yong the lawyer visited the Caojiaxiang Church, demanding the police to explain the beating of Song Enguang two weeks ago. The police detained the visiting Christians. According to videos of the scene, more than ten Christians sang hymns in front of the police station. Some police were taking videos, while others were trying to stop the Christians. The church members told the reporter that the police began to beat and arrest the Christians, who were unwilling to leave. Some church members were evicted. Some were beaten and cursed. The reporter did not receive any news about the twelve arrested church members before submitting the article. On May 12th, the Early Rain Covenant Church were holding a commemoration of the 10th anniversary of the Chengdu earth quake when more than a hundred police broke in and interrupted the gathering. The police closed the church and confiscated 15,000 copies of the Bible and other Christian materials and a thousand DVDs. 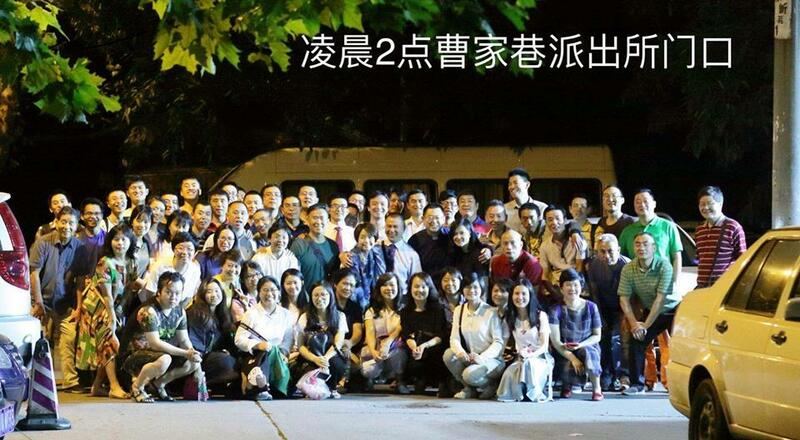 More than two hundred church members were detained at the police station for a day and were released during evening.